SWIFT boasts to provide some of the highest internet speeds in Nigeria and SWIFT SMARTBusiness KIT is a major weapon in its arsenal, specifically targeted at small and medium-sized businesses across Nigeria. 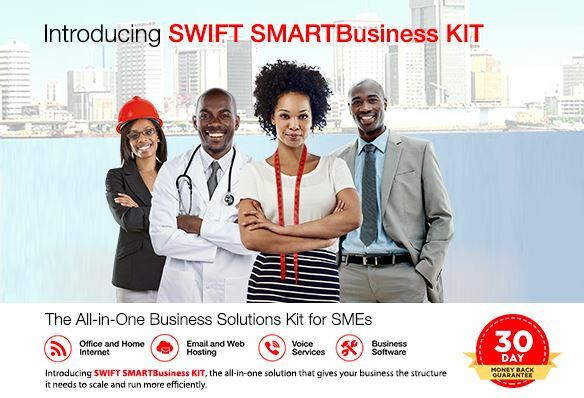 SWIFT SMARTBusiness kit is an all-in-one solution for businesses across Nigeria. It offers a suite of features and benefits, allowing businesses to leverage its cost-effective solutions to scale their operations and run it more efficiently. SMART Business offers a slew of features as shortly outlined below. It can be used as an office and home internet. SMARTBusiness can also be used for email and web hosting. Individuals and businesses can use the service for voice services. Also, it includes business software that can be used to improve the structure of a business to ensure that it scales and runs efficiently. SWIFT offers three plans in its SMARTBusiness kit. These include the SWIFT SMARTBusiness Silver, SMARTBusiness Gold Plus, and SMARTBusiness Platinum Plus. Each of these plans has its respective features and upsides as shortly outlined. Small businesses and entrepreneurs that need constant internet access throughout the day and the week can take advantage of the SWIFT SMARTBusiness Silver. This plan also provides customized email, business software, affordable VoIP and web hosting services. The plan can help you to give your business the structure it needs. It includes 75GB allowed data. 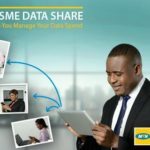 Moreover, both medium and small businesses will find the SMARTBusiness Gold Plus handy and relevant for their operations. The plan is suitable for businesses that need huge data capacity, affordable VoIP, web and mail hosting as well as business software licenses. With its 185GB and awesome features, your business will have what it takes to stay ahead of the competition and run efficiently. In addition, the SMARTBusiness Platinum Plus is an efficient solution for all kinds of businesses, especially small and medium businesses, that require a lot of data. It offers 350GB data allowance and a host of other features such as VoIP, email and web hosting, and mouthwatering business software. In conclusion, each of the SWIFT SMARTBusiness plans includes a 30-day money-back guarantee and allows you to enjoy real value for your money, not to mention the fact that the services are backed by superfast internet for businesses located in SWIFT coverage areas.